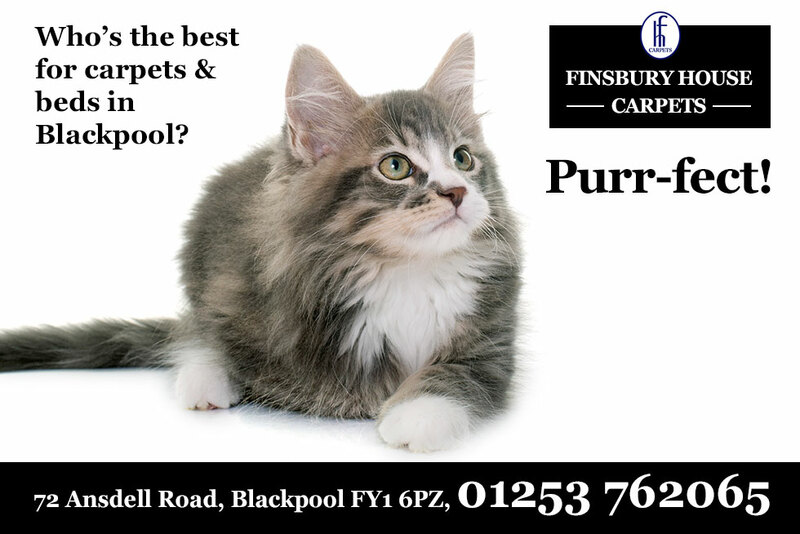 Best for Carpets and Beds in Blackpool. There’s so many reasons why you should buy from Finsbury House Carpets and Beds, so let’s just remind you of a few. We’re the best place to buy carpets and beds – obviously! We have massive savings on all Luxury Vinyl Tiles (LVT), wooden floors and laminates. Save up to 50% on a wide range of carpets that we have in stock right now and ready for fitting. Save up to 40% on the big names in beds, mattresses and accessories (stock items only). Supply, delivery and fitting in Cleveleys, Fleetwood, Poulton, Bispham, Thornton, Lytham, St Annes and surrounding areas. Price Promise – we will try to beat any genuine quote across our huge range and that includes fitting. Oh – and did we mention there’s still time to have the flooring of your choice fitted before Christmas. * you could even save the offcuts for your cat.